Home > Gift Selections > Office & Party Gifts"
Tom, Burr’s youngest son, was born with maple in his blood. Tom is the future of the farm, and he nurtures this farm with all the love and attention 8 generations deserves. 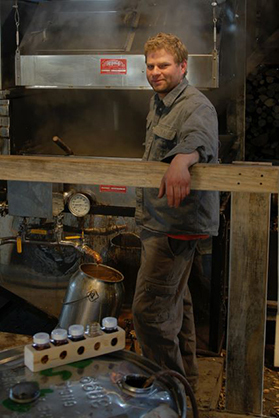 He and his team have recently expanded our sugarbush, rebuilt out Woodshed Theater and built a sap room.